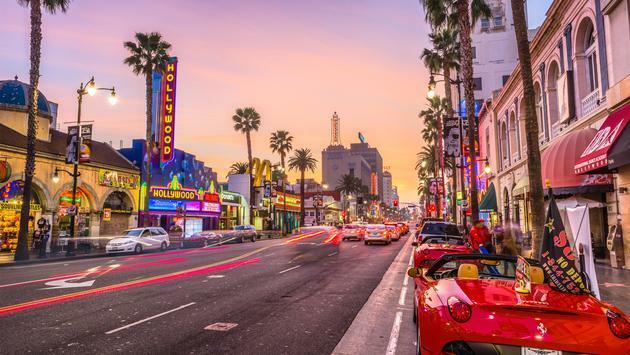 With less than a week away, TravelPulse reveals the names of the 13 agents who will be traveling to Los Angeles for the United States debut of travAlliancemedia’s Millennial Travel Forum. To follow their journey, we have included a short bio of each travel advisor and their social media handles. The Millennial Travel Forum, which takes place in the City of Angels from March 31 - April 4, was first launched by travAlliancemedia last year to showcase millennial travel agents as the industry’s real influencers. It is a multi-day, hosted event that brings an intimate group of carefully-vetted millennial travel experts to a specific destination in the U.S. and around the world. In just four years of being a travel agent, Brianna Glenn is arguably one of the best in the industry at using social media to influence travel bookings. And she did it all by replacing a lack of experience with a popular brand - herself. Glenn previously earned notoriety in the sports realm as an accomplished long jumper. Glenn finished ninth at the 2002 World Cup and seventh at the 2006 World Athletics Final, according to her Wikipedia page. “I created a personal brand, and leveraged it through social media and a strong online presence in order to attract discerning travelers who were looking to see and experience the world in a way that was authentically tailored to them,” she told TravelPulse. Today, Glenn designs customized and bespoke FIT trips mostly for couples. To hear what she has to say about Los Angeles during next week’s Millennial Travel Forum, follow her on Instagram and Twitter by using @briannaglenn. Glenn will also be using the hashtags #discoverLA and #MTFLosAngeles during her experience. It was a successful blog that gave Amanda Bisack the confidence to tackle the travel agent profession head-on. After launching the popular “The Chica Travelista” blog, Bisack said she was fielding a lot of questions from her travel-loving readers. When she was able to answer most of those inquiries successfully, she decided to make a career out of it. In 2016, she founded the New York-based, boutique travel agency, Travelista Travels, and has grown her staff to seven travel agents and counting. Bisack told TravelPulse her clientele “ranges vastly from 21-year-olds going on spring break to 70-year-old baby boomers and in between.” She sells mostly bachelor and bachelorette parties, honeymoons, destination weddings and girls getaways. Be sure to check out Bisack’ Instagram posts from the Millennial Travel Forum Los Angeles by using handles @thechicatravelista, @travelistatravels and @amandabisack, and hashtags #discoverLA and #MTFLosAngeles. Within a year of starting at a local agency as an office manager, Rachel Morris became a full-time agent. After winning a prestigious travel award in 2013, she used the momentum to create a successful travel blog, “The Jet Set Redhead” to share her passion for both travel and photography. Now, Morris, who has worked for Paradis Weddings and Travel for the last three years, has visited close to 30 countries and has sent clients to more than 50. She specializes in luxury, FIT travel throughout the world, along with destination weddings in the Caribbean and Mexico. Follow Morris’ journey at the Millennial Travel Forum Los Angeles by searching @thejetsetredhead on Instagram, by visiting www.facebook.com/thejetsetredhead, and by using hashtags #discoverLA and #MTFLosAngeles. Also, follow Morris’ blog by visiting www.thejetsetredhead.com. Loreal Shea has been making a name for herself at Rudi Steele Travel, Inc. ever since 2013 when she joined the top-notch Virtuoso agency. Shea focuses the bulk of her sales on luxury travel. She told TravelPulse she built her career booking travel for 40 - 60-year-old clients, but has since grown tremendously in the younger, honeymooner market. And she definitely knows a romantic spot or two for a honeymooner to visit. After all, she told TravelPulse her favorite travel memory was sitting at the very edge of Victoria’s Falls in Zambia. “I am especially looking forward to the Millennial Travel Forum in Los Angeles in order to gain insight into the special experiences that are particular to L.A. that my young luxury clientele crave when visiting a new city,” said Shea. Check out Shea’s chronicles from the Millennial Travel Forum Los Angeles by using @loreal_shea on Instagram. She will also be using hashtags #discoverLA and #MTFLosAngeles. At 22, Marisa DeSalvio moved from Washington, D.C., to Qatar to teach English and, in the process, became “addicted to travel and luxury,” she told TravelPulse. Now, years removed, DeSalvio just finished her first year working remote for Brownell Travel, a widely-respected travel agency with headquarters in Birmingham, Alabama that specializes in all leisure travel. She also owns DeSalvio Travel in Washington, D.C.
To keep up with the highlights from DeSalvio’s trip to Los Angeles next week, be sure to use hashtags #discoverLA and #MTFLosAngeles. Also, follow DeSalvio on Instagram by using @marisadesalviotravel. Leah Bilquist made an immediate impact at TravelSmiths, Inc., an agency known for producing some of the most successful millennial travel agents in the New York tristate area, by hitting the ground running as the agency’s groups coordinator. That position saw her selling destination weddings and yoga retreats for anywhere from 50 to 200 clients a booking. After she got the whole groups thing down, Bilquist eventually shifted her focus to individual sales. After a recent move to Colorado, she has turned a love for ski resorts and hiking into a solid adventure travel niche, although she still does her fair share of girls getaways and corporate travel. Longtime travel advisor Kacie Darden’s career as an agency owner is off to a solid start and she hopes being showcased at the Millennial Travel Forum in Los Angeles will keep her new company’s momentum going. Although Blue Pineapple Travel officially launched in 2018, the agency already employs 10 agents and is poised for its second year of substantial growth in sales, said Darden. A self-described, “fun-loving world traveler,” Darden, who has two boys, likes to remind people that moms like to travel in style too. Darden told TravelPulse she is looking forward to sharpening her skills at the Millennial Travel Forum by learning from the other advisors who will be on hand in Los Angeles. Follow Darden’s time at the Millennial Travel Forum Los Angeles by using @bluepineappletravel and @kacietravelplanner on Instagram. Also, Darden will be using the hashtags #discoverLA and #MTFLosAngeles. Also, visit her company’s Facebook page at www.facebook.com/BluePineappleTravel. Before joining Protravel Inc. in 2018, Katherine Scott was an agent for the Tzell Travel Group. Prior to that, Scott worked for several airlines, including Unites Airlines in the Philippines and South African Airlines in Florida. She told TravelPulse her primary travel sales now come from booking air, hotel and car services for entertainment, corporate and leisure clients based in Los Angeles, Chicago and internationally. And to see how she presents Los Angeles to her social media followers, be sure to check out her time at the Millennial Travel Forum by searching @travelhub365 on Instagram and by using hashtags #travelhub365, #GoWithPro, #discoverLA and #MTFLosAngeles. At VIP Vacations, Inc., Ryan Doncsecz monitors and manages all of the company’s group travel, including weddings and travel for sports teams. As an individual sales agent, he focuses on such exotic destinations as Africa, Peru and Thailand. He also describes himself as a “master agent" when it comes to selling Walt Disney World theme parks in Orlando and Florida, and Universal Orlando. Doncsecz has also garnered a solid reputation in the Caribbean and Mexico for selling those destinations’ top all-inclusive products, including Sandals Resorts, Beaches Resorts, Karisma Hotels & Resorts, Hard Rock Hotels and Playa Hotels & Resorts. “I’m ecstatic to be a part of the Millennial Travel Forum, and feel honored and lucky to represent my company with some of the best travel minds in the country,” said Doncsecz. Follow his time at the Millennial Travel Forum Los Angeles by searching @ryandonch on Instagram and visiting www.facebook.com/travelbyvip. Also, be sure to use hashtags #discoverLA and #MTFLosAngeles. After being affiliated with AAA for the last three years, George Andritsakis recently made a big career change by joining the Snelgrove Travel Center as a home-based advisor. The agency has about 10 advisors in the main office and several more home-based agents located throughout Utah and Colorado. Andritsakis currently specializes in booking leisure trips, including general groups, faith-based vacations, luxury getaways and honeymoons. To see Andritsakis’ take on selling Los Angeles to millennials, check out his time at next week’s Millennial Travel Forum Los Angeles by following @gttg_100 on Instagram and Twitter, and by using hashtags #discoverLA and #MTFLosAngeles. Haleigh Scott used a passion for travel from a very young age and a love for planning events into a job at one of Texas’ most successful Virtuoso agencies. Scott, who will be representing the prestigious Strong Travel at next week’s Millennial Travel Forum, told TravelPulse she has a deep passion for taking her favorite travel memories and turning them into sales. And what are some of her favorite travel moments? Follow Scott’s journey during the Millennial Travel Forum Los Angeles by using @nextexittravels on Instagram and by visiting www.facebook.com/nextexittravels. Also, Scott will be using hashtags #discoverLA and #MTFLosAngeles. Cassandra Valentin didn’t always know she wanted to be a travel agent. And in obtaining an MBA in entrepreneurship, she was also unaware that her path to becoming a successful as millennial travel expert had already begun in college. Now, as an independent contractor with Roman & Erica and owner of Travel Cassandra Rose, Valentin serves as evidence that millennial agents don’t just sell travel to other millennials. Valentin told TravelPulse her average client is 50 years old and older. Domestically, she sells a lot New York City and Los Angles, while she also makes money selling such international favorites as Europe, South America and Africa. Follow Valentin’s time at the Millennial Travel Forum Los Angeles on Instagram by using @cassie_valentin. She will also be using hashtags #discoverLA and #MTFLosAngeles. Brittany Bridgewater, an advisor with TravelSmiths, Inc.
A part-time singer and songwriter, Brittany Bridgewater has been one of TravelSmiths, Inc.’s top-producing millennial advisors since she started working there five years ago. Home-based in Denver, Bridgewater is now a Signature Travel Network specialist with a focus on selling South Africa, Australia, Japan, Iceland, Switzerland, Austria, Germany, Hawaii, as well as Mexico and the Caribbean. She also specializes in domestic road trips. You can also describe her songs as pretty good sales hooks. To follow Bridgewater on the road next week at the Millennial Travel Forum Los Angles, search for @brittanybridgewater on Instagram. She will also be using the hashtags #discoverLA and #MTFLosAngeles.